Human Nature is a vocal group from Australia. They released their first album, 'Telling Everybody', on 2 December 1996, and it went on to earn triple-platinum status. The first single from the album was "Got It Goin On" which established the bands success. "Telling Everybody", "Wishes", "Don't Say Goodbye", "Whisper Your Name", and "People Get Ready" were also released as singles. The group helped build their reputation by working as support acts for Michael Jackson and C&eacute;line Dion on their respective Australian tours. The band teamed up with John Farnham for "Everytime You Cry" which was one of the biggest hits of 1997, and due to the success of the previous tours, were asked personally by both Celine Dion and Michael Jackson to continue to support them throughout their European tours in June-September 1997. The band played to crowds often numbering over 100,000 people, and they also took the stage for three nights at Wembley Stadium. Upon their return to Australia in October, Human Nature embarked on their first ever national concert tour- headlining at entertainment centres around the country. 'Counting Down' released in 1998 continued the band's momentum, and debuted at number one on the ARIA charts and generated five gold singles in Australia - "Last To Know", "Don't Cry", "Cruel", "Be There With You" and "Eternal Flame" a cover version of the 1989 hit by The Bangles. The band also appeared in an Australian concert tour of symphonic versions of Beatles songs conducted by legendary producer and "fifth Beatle", Sir George Martin. In 1999, Human Nature appeared in a tour of the musical version of the television series Happy Days. In September 2000 the band performed the Australian National Anthem at the 2000 Summer Olympics with Julie Anthony. 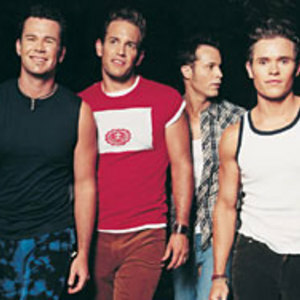 The band also appeared in Australian soap opera Neighbours in November 2000 and performed "He Don't Love You" at Erinsborough High's debutant ball and sang "Wishes" a cappella at the ball's after party. A greatest hits album- Here & Now: The Best of Human Nature- followed in late 2001. The accompanying single "Always Be With You" also made the Australian top 30, with the appearance of comic character Guido Hatzis, breakdancing legend, making the video memorable. Throughout 2002 and into early 2003, Toby took on the role of MC in a major production of the musical Cabaret. This portrayal earned him a prestigious Helpmann Award. Human Nature's fourth studio album Walk the Tightrope was released on 26 April 2004. The first single "When You Say You Love Me" was written by Darren Hayes, formerly of Savage Garden, and it reached the Top 10 in Australia in 2004. The album also features "Love Is Blind" written by Barry Gibb of the Bee Gees, a reworked cover of Guilty by Barry Gibb and Barbra Streisand, and a cover version of "To Be With You", a 1992 hit by glam metal band Mr. Big. Mid-2005 saw Toby again hit the musical theatre scene, playing Kenickie in an arena version of the musical Grease. With the realisation that they were perhaps outgrowing their original teen market, for their fifth studio album Human Nature decided to pay tribute to the music that influenced them from the very beginning, and released an album of Motown covers- Reach Out: The Motown Record- on 6 November 2005. It peaked at number one on the Australian charts and has reached 5 times platinum. They toured extensively around Australia in 2006 on The Motown Show tour and members Phil Burton and Toby Allen both starred in reality TV shows during 2005/06: Phil in the Nine Network's Celebrity Overhaul 2 and Toby on Channel 7's Dancing With The Stars, plus both Phil and Toby on Channel 10's Australia's Brainiest Musician in March 2006 (Phil came in first, and Toby came in second). On 29 October 2006, Human Nature won their first ARIA - highest selling album - after 15 nominations; band member Andrew Tierney joked saying they were the "John Wood" of the ARIAs. The quartet's sixth studio album Dancing In The Street: The Songs Of Motown II was released on 13 October 2006 and debuted at number one, with 14 Motown cover songs, after the initial 'Motown' album sold over 350,000 copies and won the highest selling album ARIA award. They toured Australia with Doug Parkinson as the MC for the Motown Tour 2005/06 and the Encore Motown Tour 2006, and again in mid-2007 with the Dancing In The Street Arena Tour 2007, with special guests Paulini and The Naturelles. The 24th of November, 2007 saw Human Nature hit No.2 on the ARIA Albums Chart with Get Ready, the 3rd Motown-themed album, which this time featured appearances by several original Motown singing legends such as Smokey Robinson, Martha Reeves, Mary Wilson of The Supremes and The Temptations. All three albums have now sold close to a million copies in Australia. Human Nature's total album sales in Australia number almost two million. At the start of 2008, Human Nature headed over to perform for the first ever time in the USA, with a two-month engagement at Atlantic City's Tropicana Casino. They played the Imperial Palace and Casino in 2009. On 22 April 2008, Human Nature took the stage with The Supremes' Mary Wilson on the television show It Takes Two. They performed two duets from their Get Ready album: "It Takes Two" and "River Deep, Mountain High". Human Nature is currently in residency through May 2010 at the Imperial Palace Hotel in Las Vegas. Their show, "The Ultimate Celebration of the Motown Sound," is being presented by friend and mentor Smokey Robinson.